Topics: Parallels Plesk Panel, Parallels Desktop® For Mac, Parallels® Workstation, Parallels Virtuozzo Containers, and Parallels Automation. There are 3 Nameservers, ns2.1st4domains.co.uk, ns4.1st4domains.co.uk, and ns1.1st4domains.co.uk. It is hosted by Layershift Limited (England, Manchester,) using Apache/2 web server. 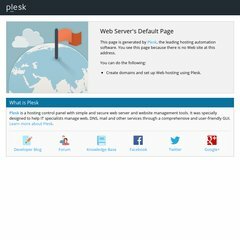 The site is programmed for PleskLin. PING (87.239.18.135) 56(84) bytes of data.